These small molecules, known as oligopeptides, are sensed by a protein—GPR89—which is found on the surface of the parasite. This triggers the parasites' transition into a state in which they can be taken up and transmitted by flies. The approach could limit drug resistance in two ways—by restricting the supply of nutrients and stopping transition to the state required for disease to spread, researchers say. Professor Keith Matthews, of the School of Biological Sciences, who led the study, said: "Understanding how these parasites communicate with each other has been a mystery for decades. The mechanism we have discovered provides new opportunities to develop much-needed drugs for this devastating disease." Mike Turner, Head of Infection and Immunobiology at Wellcome, said: "This study solves one of the most fundamental questions about the sleeping sickness parasite and will help researchers around the world look for new ways to limit the severity of the disease. 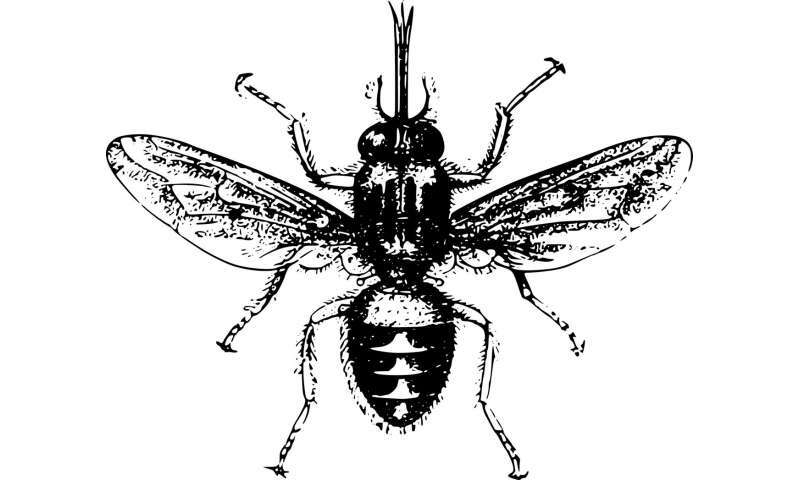 "This ability of the sleeping sickness parasite to regulate how they switch between states so that they can be transmitted by tsetse flies was first described in 1972 and since then many groups have failed to solve it until this beautiful study by Professor Matthews' group."